Following up on last year’s successes, Acer is at it again. Q3 profit reports from the computing powerhouse proclaim a 27% YoY gain in Chromebook profit over the already-impressive 33% increase of 2016. So, what is it that is helping Acer find such success in a still-emerging market when overall PC shipments have seen a consistent decline over the past two years? While quantity and quality don’t always go hand-in-hand, Acer has somehow found a way to strike a balance of the two which lends itself greatly to their accomplishments in the world of Chrome OS. Let’s take a look at just a few reasons Acer is the proverbial King of Chromebooks. They say there is strength in numbers and that adage holds very true for Acer. With over twenty variations of roughly a dozen different Chrome devices, no other manufacturer has pumped out as many machines as Acer. Whether it’s educational Chromebooks, retail devices or powerful “For Work” models, no one even comes close to the variety that Acer offers to the market. Just the Acer Chromebook 15 alone has seen a half dozen iterations from budget-friendly Bay Trail all the way up to beast mode Core i5. Acer has a Chromebook for just about any walk of life and their commercial success is a direct reflection of that fact. Clearly, Acer is in the business of making Chromebooks for everyone but they’ve carved their niche by creating devices to fit every need. One of the most popular of those devices being the Acer Chromebook R11. The 11.6″ convertible is easy on the wallet yet handles the workload of most average users with ease. One of the first devices to get Android Apps, the R11 has carved a small place in the Chromebook hall of fame and continues to be a great seller to this day. Then you have the aforementioned Chromebook 15. I’m typing this on the all-new version of the 15.6″ Chromebook and it’s just as impressive (if not more) than its predecessors. Acer offers models that range from $179 all the way up to $500 and it is likely one of the most purchased Chromebooks in Acer’s arsenal. Traditional laptops and convertibles aren’t the only things Acer brings to the table either. Chromeboxes and Chromebases can be found on their resume as well, making Acer one of the most well-rounded Chrome device manufacturers in the world. This may be a matter for debate but when it comes to design, durability and overall longevity, Acer is always at the top of my list. Sure, they have their faults like any other device but one of the reasons so many of their Chromebooks are so popular is their ability to perform continually without fail. Acer is one of the only OEMs with their own dedicated store for refurbished devices and they even offer extended service plans and protection for these “used” machines. That says a lot about their own faith in the product. I have purchased multiple Acer “recertified” devices and while some may have had a different experience, I have had zero problems with any of my Chromebooks. I know what you may be thinking here. “How is Acer innovative?” I’ll admit, with devices like Google’s Pixelbook and Samsung’s Chromebook Pro/Plus on the market, Acer might appear to be behind the curve. When you look at the latest and greatest features available, you might be right in that assessment but when you look at things like design and variety, no manufacturer does it quite like Acer. For example, the 15″ Chromebook market is a narrow field, for sure but Acer has continued to push forward in extending the model lineup. With the latest iteration, they have added features never seen on a device this size and produces a beautiful Chromebook that offers many of the trimmings of a premium machine. Yet, it costs less than $400. It even has a backlit keyboard which, as many like to point out, the Samsung Pro/Plus do not. Honestly, I can’t understand why no other OEM jumped into the larger Chromebook market before Acer dominated it but I can say with a fair amount of certainty that it would be very difficult to move into that space now. Then there is the Acer Chromebook R13. It still saddens me that this device was seemingly swept under the rug after its announcement at IFA Berlin last year. 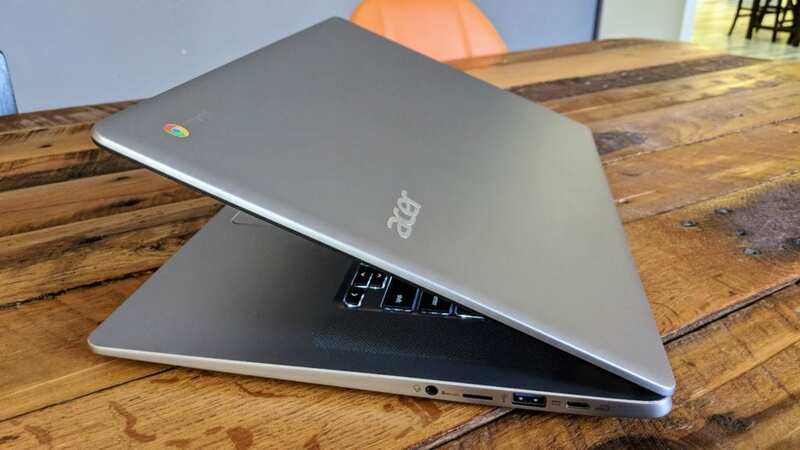 The Acer R13 was touted as the first Chromebook designed with Android Apps in mind but then something disheartening happened. The Play Store on Chrome OS saw significant delays and the R13 was quickly overshadowed by the release of the ASUS Flip C302 and Samsung’s Pro and Plus. It was a bit of a dark day for Acer, in my opinion as the R13 was and still is a great device. No, it doesn’t offer some of the finer things you find in the Samsung or ASUS but it is still a well-built, all-aluminum convertible with 64GB of storage and the MediaTek chipset it houses is surprisingly powerful and versatile. My hands-on with the Lenovo Flex 11 left me wondering why more manufacturers haven’t embraced the MediaTek processor as an alternative to the somewhat disappointing dual-core Apollo Lake chips in the latest EDU models on the market. Whatever the reasons, Acer has and continues to crush the Chromebook market and it doesn’t look like anyone is stepping up to challenge them to a fight. Not resting on their laurels, Acer has now expanded their reach even further by claiming a majority share in AOpen in the hopes of widening their presence in the digital signage arena. AOpen offers a number of Windows and Chrome OS kiosk and digital sign solutions for commercial use and is one of the only companies to offer end-to-end Chrome OS products for digital signage. The collaboration will bring AOpen’s expertise in digital signage together with Acer’s global reach and profitable manufacturing in the hopes of strengthening both companies impact on the world market.